This badge was issued to FIORAVANTE BOSSI on 28 Dec 2017. 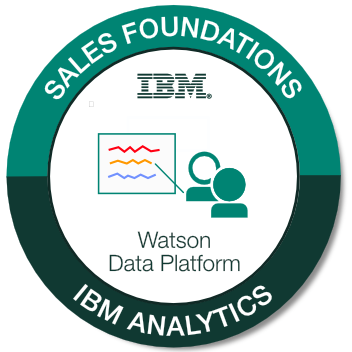 Completed the IBM Watson Data Platform Foundations course and passed the exam that certifies that this badge holder has the skills to understand and address clients' challenges with the appropriate solutions. Business Partners click here for course details. IBM Employees click here for course details. NOTE: This badge is no longer available. Check the link below for other badges offered by this badge issuer.